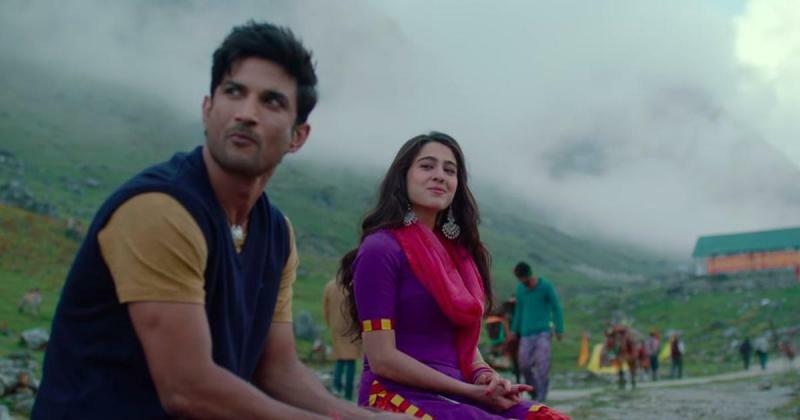 Sara Ali Khan who is making her big debut with Kedarnath is showering love for her co-star Sushant Singh Rajput. The film’s trailer was released recently and it was lauded by one and all, the chemistry of the lead was particularly praised by the masses. The film is based on the devastating floods that occurred in 2013 in Kedarnath. She did not just stop here, she went ahead and uploaded a picture with Sushant and captioned it: “Thank you for being constantly helpful, always cheerful and consistently encouraging! Today was a major day for me, and none of it would be possible without you!" Looks like someone is head over heels in love with Sushant Singh Rajput. Meanwhile, the actors are all ready for the release of Kedarnath on December 7.